This time of year often finds us waking up to a frost encrusted world. It looks to me like Mother Nature has added a sugar coating to everything! what's left of my garden. These experiences made me think about the accuracy of photographer, Aaron Rose's quote. Spectacular fantasy land, especially from a macro perspective! resulting in water droplets everywhere. ready for the warmth of my kitchen and some hot tea. Love your sugar coated images. We don't have them here. I'm glad we have dew drops and rain droplets. Another elegant collection of beauties. From rime to riches. The pearls on the grass are breathtaking. Wonderful frosty images.. especially the ones with the colorful droplets. 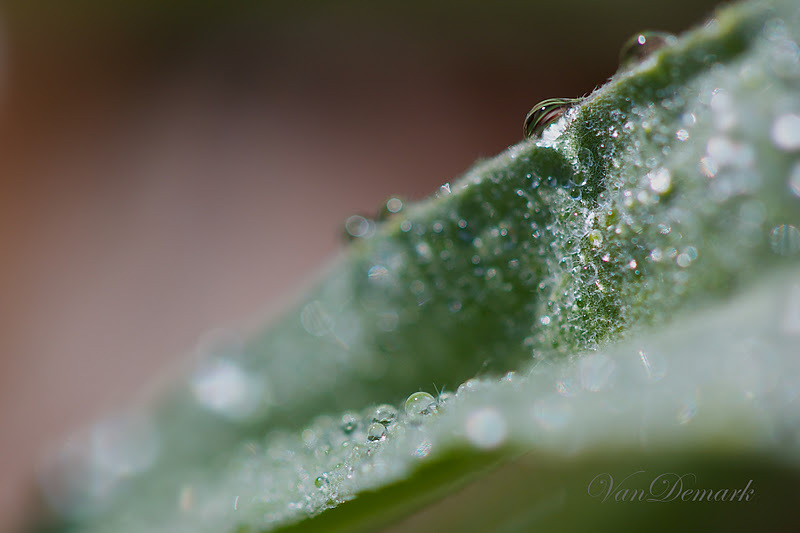 I love the little droplets. Gorgeous macros. Frozen nature and frozen memories of delight! You did turn this into a fantasy land! I love your equation, and every little frozen drop you captured. Just gorgeous! 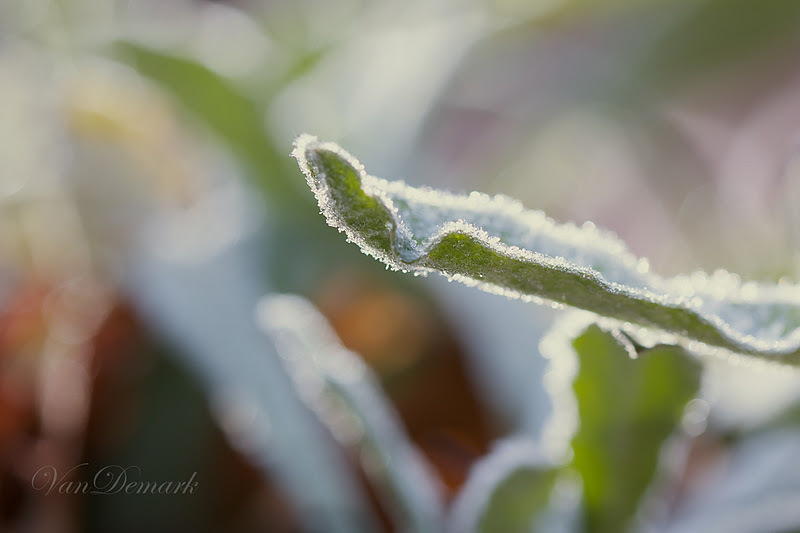 Gorgeous frosty pic's and stunning macros! Isn't it amazing (and beautiful) that an entirely new world opens up when you view it through a macro lens? These are just gorgeous Anna, especially the last one! Thank you so much for sharing these at The Creative Exchange. Frost truly is beautiful when you see it up close! Love the frost!! What exquisite images! 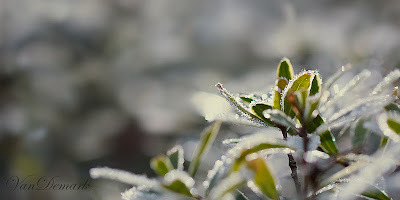 Wonderful "frosty" photos. Beautiful light and fantastic round drops. Frozen Wonderland - Wonderful shots of the frost covered landscape. Some exceptional photos of those frosty plants! Wow! I love them all. This is my second blog seeing the beautiful frosted photos. Thanks for stopping by Behind the Gate for a visit. My word. These are beautiful. 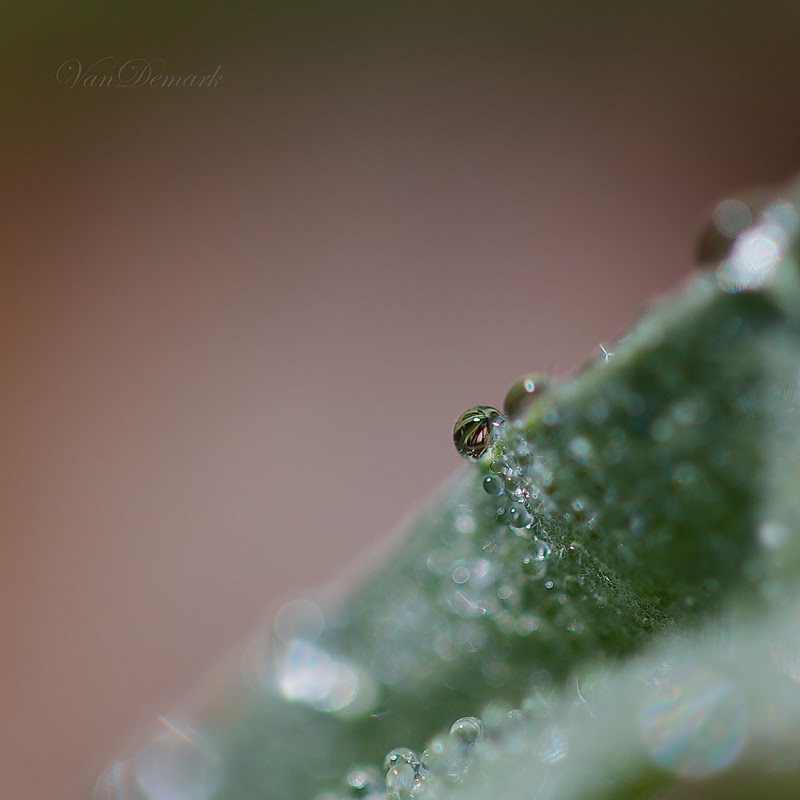 LOVE, LOVE the water droplets. 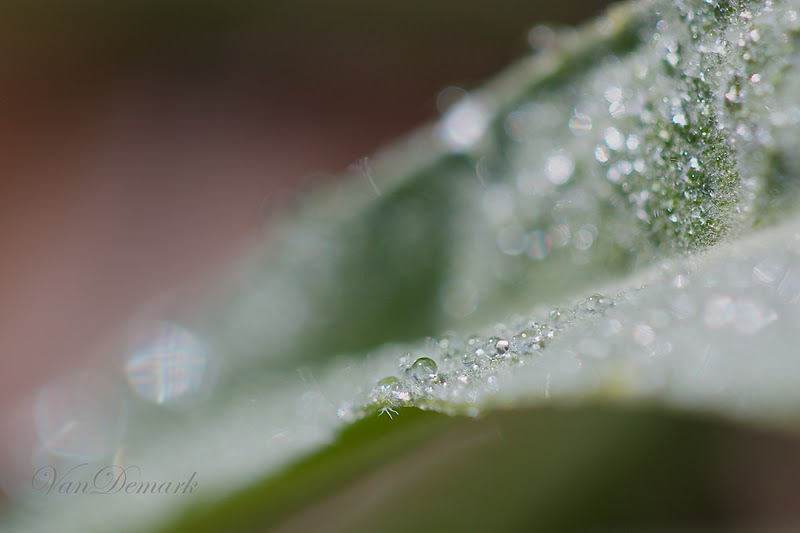 Hooray for macro lenses!!! 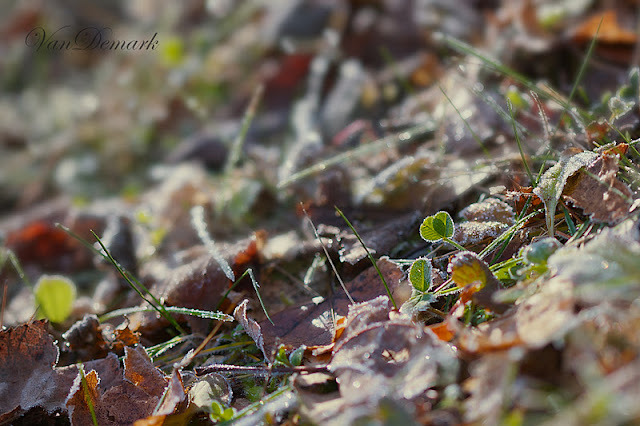 Stunning details in the images of the frost covered leaves and the tiny water droplets! You did find a treasure trove in your garden, so lovely. Delightful photos, so fitting to your quote too. your wonderful macro shots definitely make this look like a spectacular fantasy land! Lovely images Anna! Even though they are frosty, they are bright and cheery. Thanks for linking in! Your frosted garden is delightful! Unreal, especially the water drops. Now you've made me jealous of your frost tipped garden....so lovely! i love how you captured the details... lovely! Beautiful images of frost on that sparkles so beautifully. Love the Wonderful frosty world you have captured, it's so magical! I'm so envious! - in this part of the UK we don't get frost very often, it's usually just damp and grey. 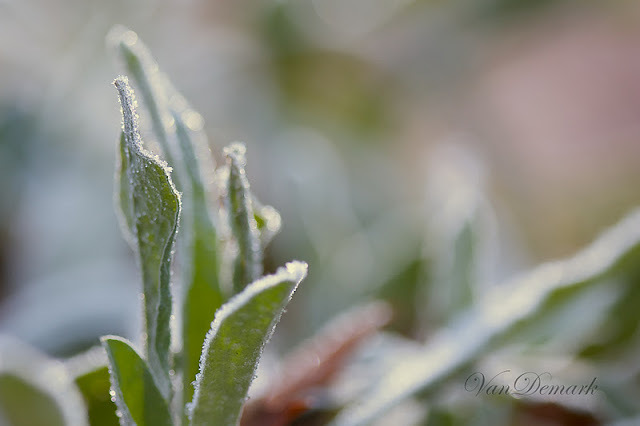 A heavy frost really does transform everything; these are lovely shots. Oh, I just love your photos. 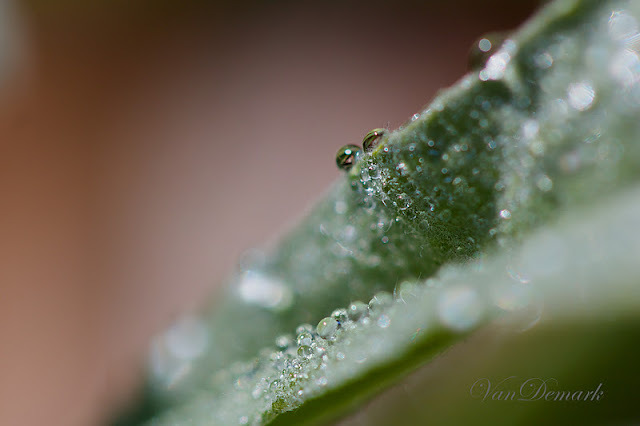 Macro photography allows us the opportunity to see the small, miniature side of your lives. So glad you were blessed with just the right light, at just the right time. Soooo beautiful. Visiting you from MM and am so happy to have found your blog-it's lovely. That quote from AR is great...so true. Wow!!! these macros are just magnificent! Gorgeous work! You've captured the light perfectly! Thanks for linking up today over with the muses! Great macro shots and perspectives. Am your 100th follower!